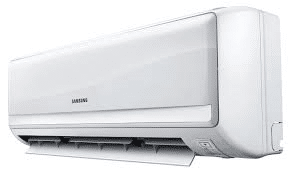 ♦ Allergens – which are caused by dirt and mould build up in the Air conditioner. A dirty air filter causes the duck work to become dirty, which is where the mould and bacteria grow. These allergens can cause symptoms such as fatigue, coughing, itchy eyes, headaches, sore throat, difficulty breathing, congestion and tightening of the chest. Having your air conditioner cleaned regularly will help to reduce these allergens. ♦ Air Flow – An air filter that is clogged reduces the amount of air that comes through the system, therefore reduces the amount of air flow into your office or home and the overall effectiveness of the unit. ♦ Air Ducts – if the filter on a central air conditioning system gets dirty, the dirt is then spread to the air ducts in the house. It is always best to have air filters cleaned. Just wanted to say a huge thanks to the cleaners – carpet looks as good as new! Our vision is to be one of the top commercial cleaning companies here in the ‘Great South East’. We realise that to do this, we must place the client and their needs first. To achieve this, we must provide them with as much value as possible and simply “do it better”.